Wanted to keep up with the Lisk Relaunch but couldn’t catch the livestream on February 20, 2018? We have you covered. In this article, we report on the highlights of the event, as presented by Lisk HQ. Why is a Platform Like Lisk Important? Blockchain technology has had a relatively short but memorable lifespan. A day in this industry can be akin to a year or more in another. With things moving as fast as they do, we’ve witnessed the evolution from “single cell” store of value cryptocurrencies to an ever-expanding ecosystem of blockchain applications that threaten the disruption of many industries. Blockchain is coming for us, and there’s no stopping it. The more widely it becomes standard practice, the bigger the necessity to provide easy access to blockchain applications. There are a number of platforms on the market that enable developers and businesses to create dapps with as low a barrier to entry as possible. 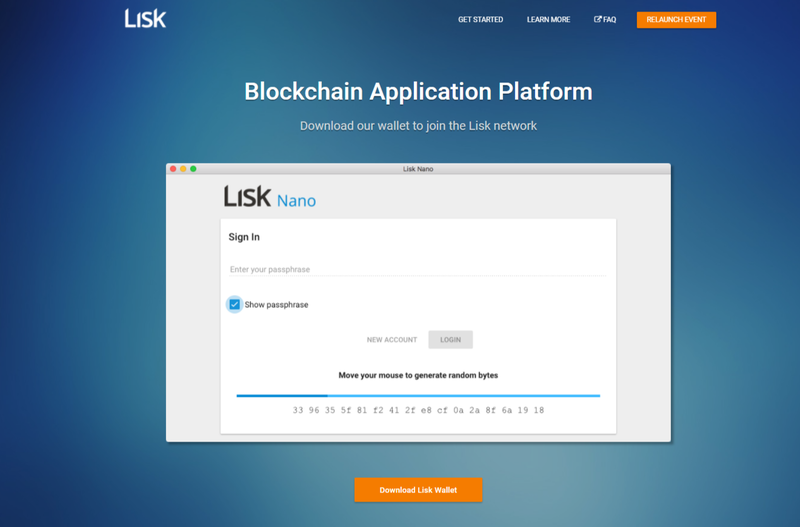 Lisk, like Ethereum and NEO, allows for the creation of dapps built on top of its hosting platform. By deploying their blockchain solution with the help of a dapp platform, businesses and developers alike are able to push their solutions to life faster, easier, and more cheaply. This is exactly what we need to allow blockchain to spread to critical mass. We last met Lisk on stage at the end of November 2017 when they announced the release of key elements in the Lisk ecosystem, including Lisk Core, Lisk JS, and Lisky. In case you missed it, we covered the highlights of that meetup in our aticles, Lisk Announces Relaunch Date and Plans for 2018 and Lisk Berlin Meetup: Let’s Get Technical. Now, 3 months later, the team is back to share the fruits of their labor: Lisk has gone through a major rebranding, including getting a new logo. While there was speculation that the rebranding would include a renaming, this was reserved exclusively for Lisk elements instead of complete overhaul like the AntShares-to-NEO scenario. Instead, the rebranding took the shape of a relaunch. What was emphasized during the last meetup was once again echoed in this one: Lisk consistently chooses quality over speed. And, in so doing, everything the Lisk Foundation does takes on an elegantly systematic quality that makes it all too clear this is a blockchain platform that is here to stay and climb its way to the top ranks of the industry. 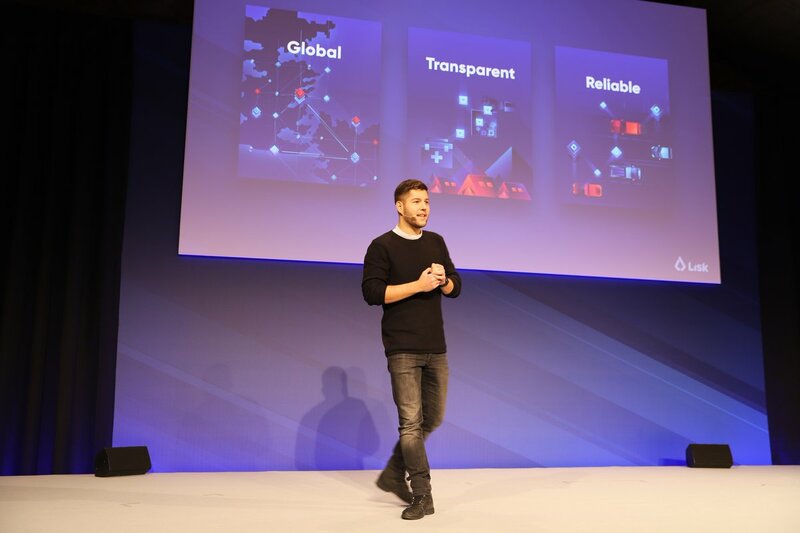 Here are the highlights of the Lisk Relaunch, as presented by the Lisk team to a total of 500 in-house attendees and a peak of 9,700 online viewers. Blockchain is one amazing technology. Applied, it offers so many great opportunities to benefit our centralized world. However, there’s one problem: It’s not easy to apply this technology. Blockchain technology could be used in order to remove borders, to empower future infrastructures, or to bring transparency. Because of the fact that this technology is not very accessible nowadays, because you need to know many different complex fields, like cryptography, P2P technology, and game theory, Oliver and I started this whole journey. We established the Lisk Foundation in Switzerland with the goal to make this technology open for everyone in the world. 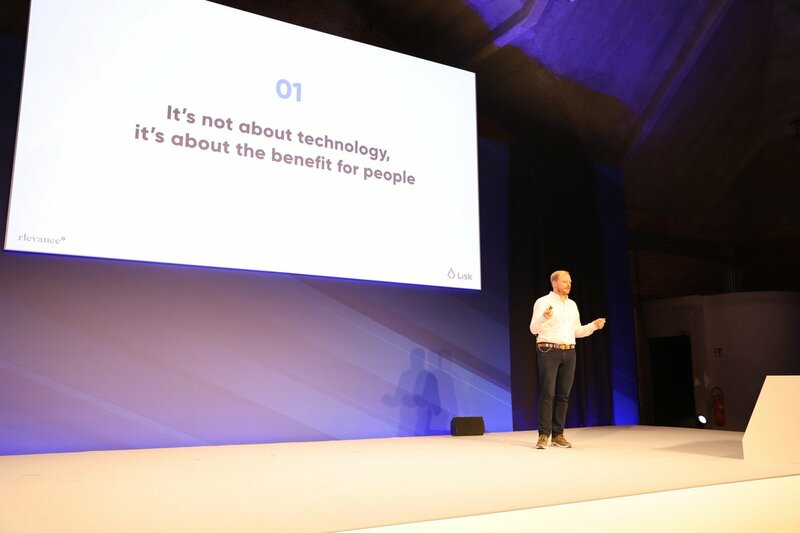 This set the tone for the evening, as the Lisk team ran its offline and online audiences through these guiding principles that influenced the nuances of the Lisk relaunch. 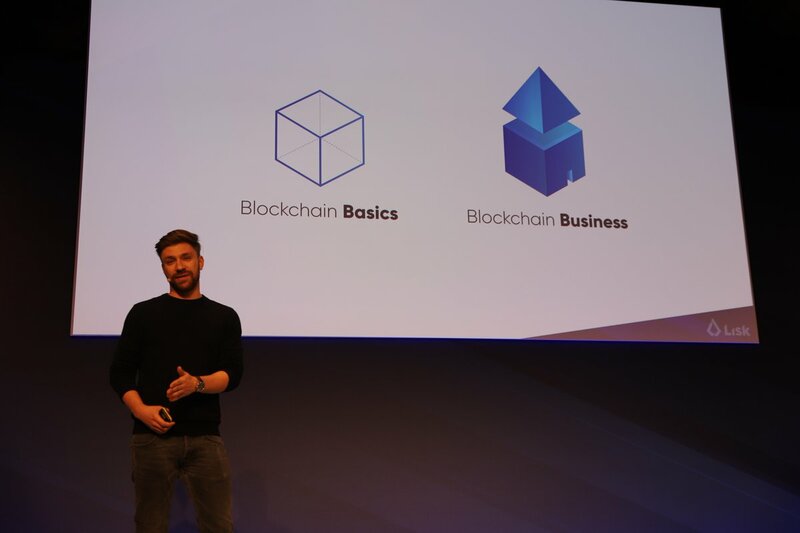 Christian Vatter, trained psychologist, branding expert and owner of consultancy Rlevance, took the lead from Kordek to explain to the audience the careful thinking and data-backed decision-making behind the Lisk rebranding. Vatter explained that, taking a human-centered business consulting approach, his firm set out to bring together business thinking, marketing creativity, and user understanding. In so doing, his team spent countless hours understanding and incorporating the potential of blockchain with Lisk’s strengths and user needs, in order to create the Lisk value proposition. 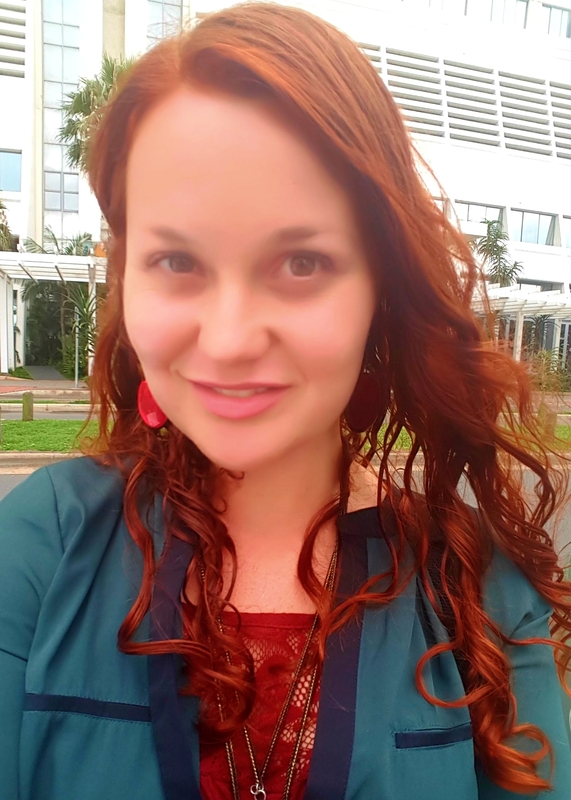 What was especially important in their field research was gathering enough data to be able to adequately communicate the product benefits as well as the organizational culture. Their sidechain concept means that there won’t be any ‘blockchain bloat’, and apps can really scale. Leaving no stone unturned, they also created an exclusive Slack channel for select blockchain developers to speak about their needs and perceptions of Lisk. This generated over 2,000 posts in the span of one week. This provided Lisk with the crucial information needed to best present itself to the blockchain industry and the world at large. Sidechains connected to the mainchain is a great idea. Bad code can always happen, so if something goes wrong with an app, it doesn’t bring down the whole platform. Constructing and maintaining a solid and scalable infrastructure. Lisk’s marketing lead, Thomas Schouten bridged the rebranding process by leading the audience through its progression from the initial stages with the Rlevance team, to a design overhaul by award-winning design agency Taikonauten, before ultimately hitting the development stage to finalize all changes and updates into the newly-rebranded Lisk. Schouten took the audience on a visual tour of the new website. While the homepage was to be as all-inclusive as possible to cater to different audiences, they realized that destinations elsewhere on the site needed to be tweaked to speak more directly to specific audiences such as starters, developers,app commissioners and the community. Next, Schouten revealed an exciting new feature Lisk developed in order to make good on its goal to be an accessible and personal blockchain platform. The introduction of the Lisk ID on the Lisk Hub (previously the Lisk App) makes creating a unique user ID a fun, design-driven, yet highly secure experience. Each ID is uniquely visually generated and represented, and the screen guides users through storing their wallet keys, to the point of putting one to the test to see whether you’ve correctly collected your passphrases. Features like Delegate Lists were also moved away from the main dashboard and into advanced settings, where it can be switched on or off at will since it’s a feature that’s not often used by the majority of users. Finally, Schouten revealed that the new version of the website will be available on February 21, 2018 at 12:00pm CET. The Lisk rebranding video can be viewed below. Jacob Kowalewski heads up the Lisk Academy. The purpose of the Lisk Academy is to provide education about blockchain, the Lisk platform, and its tools. He explained in more detail two key focus areas for the Academy, Blockchain Basics and Blockchain Business. It does this by providing more than 40,000 words of premium content and over 50 infographics and animations. Here is a video from the Academy which showcases a good example of the type of content that will be made available. 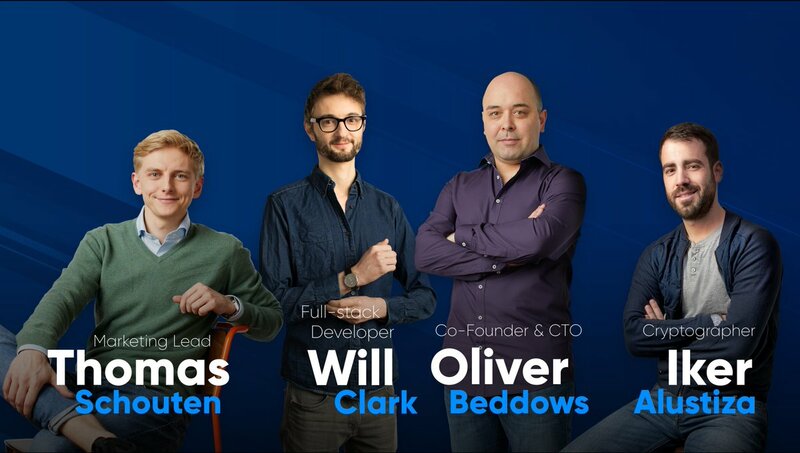 Next, Schouten sat down with co-founder and CTO, Oliver Beddows, cryptographer and first member of the science team, Iker Alustiza, and developer, Will Clark. Alustiza explained the planned change in Lisk’s pricing model from a static to a dynamic fee system. He used the example of delegate registration, currently priced at 25 LSK, as being “too high”. Lisk Commander, meanwhile, will enable developers to generate their own white label sidechains. Kordek took the audience through the company’s financials, providing a transparent breakdown of company funds in various cryptocurrencies and fiat currencies, to a total value of 300 million Swiss Francs. He also explained how much they had spent in the previous financial year, and disclosed how much they plan on spending this year. Next, he discussed sponsorships for open-source projects, introducing Jon Gros-Dubois from SocketCluster and Vitaly Tomilov from Pg.promise. 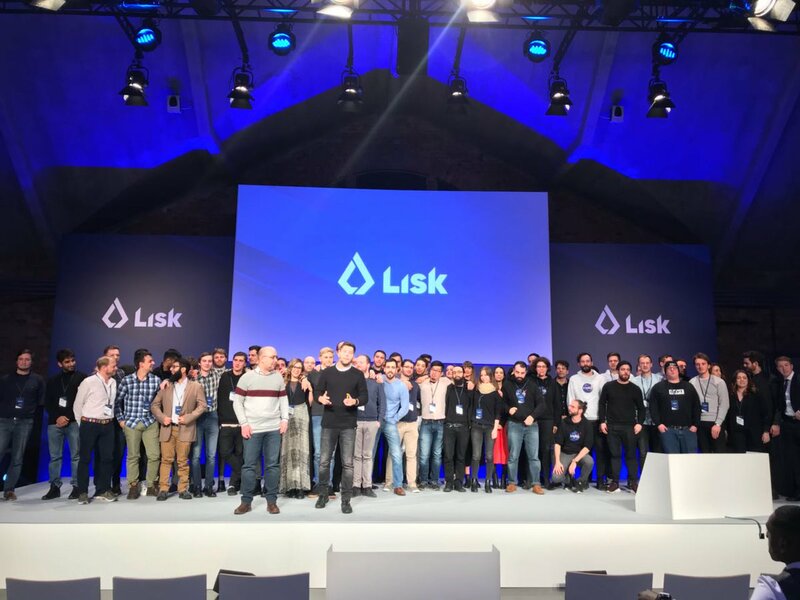 Kordek then invited all team members and service providers instrumental to the Lisk rebranding process onto the stage, proving that it takes a professional family to build and improve a great product such as Lisk. Concluding the events for the evening before moving to the offline reception, Kordek then played the audience this video, which was created by their new in-house videographer. Lisk has big plans. But rather than mere pipe dreams, they not only have – but also do – what it takes to make these plans a reality. It’s not an everyday occurrence to find a company in the blockchain space that goes about their business in as detailed and systematic a manner as Lisk does. If this rebrand meetup was anything to go by, then every new step in the Lisk road to greatness will be paved with solid, well-thought-through edits and additions. Watch the 2-hour-long Lisk rebranding in its entirety below. Thanks a lot for this summary. Perfect to use for impatiently full-fledged-noobs which are still crying “End of Story? Any Hope?” or “Lisk is dying faster than any project I’ve ever seen”.